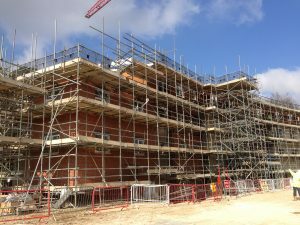 Based in Swindon since 1974, Brunel Scaffolding provides scaffolding on a supply and erect basis to all sectors. Serving Wiltshire, Gloucestershire and the surrounding counties. With a field force of 25 erectors backed up by a highly experienced Management Team, Brunel can handle projects of all sizes. Our fleet of seven lorries and our extensive stock of equipment enable us to respond quickly and efficiently to all eventualities. We can normally provide written quotations within 24 hours of receiving full information. Site visits are undertaken to discuss specific requirements and to provide technical advice. Detailed technical drawings can be provided for more complex projects. Brunel is a Local authority approved contractor and has won an NHBC ‘Top 100’ award. We are Preferred Suppliers to many National Contractors. 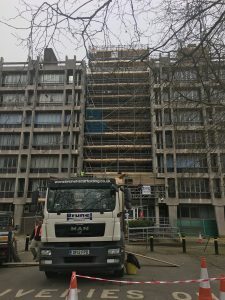 Brunel has full Employer’s and Public Liability Insurance and is a member of the National Access & Scaffolding Confederation (NASC). From a basic access tower to the most intricate scaffolding structure, Brunel will meet your requirements – quickly, safely and economically. All employees 100% CISRS registered with selected employees being IPAF and SSSTS registered.